Attorney Lynne Stewart aggressively defended alleged terrorists, making her a target of President George W. Bush’s “war on terror.” After 9/11, she was prosecuted for violating special security rules for dealing with a client and is now dying of cancer in federal prison, denied compassionate release, reports William Boardman. In the American justice system, even when a prisoner is not sentenced to be executed, the bureaucrats of the U.S. Justice Department’s Federal Bureau of Prisons still have extrajudicial ways of making sure a politically targeted prisoner will die in jail. From her office in Washington D.C., Kenney countermanded the April 26 recommendation of the prison warden at the Carswell Federal Medical Center at the Naval Air Station in Fort Worth, Texas, that Stewart be released. Lynne Stewart a mother, a grandmother, a great-grandmother, a librarian and a lawyer (until disbarred by her conviction) spent most of her 32-year professional life representing clients who might otherwise have been unprotected from the justice system. She has had cancer for several years. It has metastasized. The United States case against her is also a cancer, and it too, metastasized. In the 1990s, Stewart represented Omar Abdel-Rahman, also known as “the blind sheikh,” in his defense against terrorist conspiracy charges. Rahman was convicted in 1995 and is now serving a life sentence. Stewart continued to represent him in appealing his conviction, but she agreed to follow “special administrative measures” imposed by the Justice Department. These measures are bureaucratically imposed conditions that, among other things, allowed the government to monitor Stewart and her client without regard to attorney-client privilege. Stewart acknowledges she sometimes violated these special administrative measures, but the Clinton administration chose not to bring charges against her for those violations. However, in its deep panic of overreaction to 9/11, the Bush administration indicted Stewart in 2003. Those charges were dismissed. Within months, the Bush administration re-indicted her, and publicly proclaimed her guilty. Attorney General John Ashcroft went on the David Letterman Show to announce the indictment, charging her before millions of viewers with conspiring to provide material aid to terrorists. There was no one there to defend her. In ordinary circumstances, Ashcroft’s behavior is a serious violation of legal ethics, but he was never sanctioned. In 2005, after a nine-month trial, Stewart and two co-defendants were convicted. She faced a sentence of up to 30 years. She was already undergoing treatment for breast cancer. Judge John G. Koetl, saying he did not want to impose a death sentence, gave her 28 months. Stewart commented that she could do it standing on her head. Lynne Stewart, who has been a federal prisoner since Nov. 19, 2009, appealed again to the Second Circuit, which upheld her conviction and the re-sentencing that it had ordered. She has not appealed to the U.S. Supreme Court. In April of this year, Chris Hedges wrote: “Lynne Stewart, in the vindictive and hysterical world of the war on terror, is one of its martyrs. A 73-year-old lawyer who spent her life defending the poor, the marginalized and the despised, including blind cleric Sheik Omar Abdel Rahman, she fell afoul of the state apparatus because she dared to demand justice rather than acquiesce to state sponsored witch hunts. In November 2010, Human Rights Watch published a report, taking the U.S. to task for how seldom it grants any prisoner a compassionate release. Stewart asked for one anyway. The Bureau of Prisons showed her no compassion. Officially, and without credible explanation, the United States has expressed its preference to see a political prisoner suffer and die in prison, all because she didn’t take the government’s special administrative measures seriously enough. This is the government we have now. There was a time when it was thought that justice should be done, and justice should be seen to be done. Now it’s apparently good enough that what the government alleges to be justice just be seen to be done harshly. We’re Americans, we don’t do compassion. This is not the way attorney Kenney would put it, surely. And it’s not the way Attorney General Eric Holder would put it, or President Obama. But Malkin’s voice is their voice all the same, praising official cruelty in a voice turned up to high screech. That may be the dominant voice of our day, but it is not the only voice possible. Other possible voices include Lynne Stewart’s on June 25, reacting to the denial of her compassionate release and telling her “friends, supporters, comrades” on her website: “I know we are all disappointed to the marrow of our bones and the depths of our hearts by the news that the Bureaucrats, Kafka like, have turned down my request for compassionate release. “The letter from [attorney Kenney] is flawed, to put it mildly. Both factually and medically it has major problems. We intend to go to court and raise these in front of my sentencing Judge Koeltl. At the first sentencing he responded to a query by one of the lawyers that he didn’t want me to die in prison, we’ll see if he can now live up to that. Hey everyone! Please sign this petition to FREE Lynne Stewart! Positive energy to you Lynne, there are a lot of people out here sending you love! It is impossible to understand the lack of compassion of those who have the power. This is a contemptuous lot all the way to the top. Shouldn’t Bush’s first cousin John Walker have been required by to recuse himself due to possible bias due to his blood relationship to a sitting US President? This is a terrible persecution of this brave lady by the senior officials of the U.S. Govt. & Dept. of IN-justice. They will all deserve the terrible fate that awaits them at the final judgement. The actions of these officials is totally without a shred of charity. I wonder if any of them go to Church & if they do, WHY ? Our government will not let people fight for the rights of the poor and hated. Only if they meet the government standards of what an American is will they get compassion and understanding, anything else is fodder for the government machine! God bless this woman for her courage to no only fight against the machine, but to also fight the cancer in her body and she is doing it with a smile. God bless her and her’s. I wish her a good journey. I don’t pity her for her circumstances. I could only be so privileged to be so easily identified as an enemy if the state. Thoreau would be at standing ovation, dedicating On The Duty of Civil Disobedience extended version to her, Resistence To Civil Government. Emerson would recite some final moment of her life non of us can see. John Brown would hang for her. 60s activists would throw their bodies at the system, to be chewed up and vomited out, just to head right back in, for her. But we are all too dedicated to do anything really real. Have her funeral already! Spread her hair over the sea, like her ashes. But, it regular Americans you have to win over. God gave her this cancer, lets keep it real. This is a victory not a casualty to them, sorry. 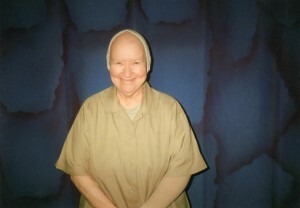 Lynne Stewart another brave lady just like Susan Lindauer who was also made to suffer. To pretend that the USA has a system of justice, a democracy, reasonable humans and a care about life for normal people is baseless. Even “terrorists” have a right to representation in legal cases, and Lynne Stewart is one of thefew brave lawyers willing to perform this task. So many criminals rest outside US prisons who should be incarcerated, but instead people like Lynne and the Holyland and Cuban “criminals” get no justice. One can only stand here in stunned disbelief at the muttering of Malkin, the cruelty of Kenney, and the brutishness of the Bush family, but I suspect that Mrs. Stewart must take all this with a grain of resignation, because she has experienced the same despicable behavior all during her career. For many of us, we hear of such things and brush up against them lightly in our own experience once in a while, where she has sought them out and confronted them. I hope she is met by angels on that day. I can’t properly express the loathing I feel towards the US government and its spineless congress, senate and general populace for allowing heartless things like this to happen, and brutal things like Guantanamo to continue, over threats to personal security that are minuscule compared to the annual toll of gun deaths in your country and the carnage on your highways. Americans need to wake up and understand that they are more at risk from bacon than from terrorism… that the willy-nilly introduction of chemicals into their environment causes more long-term mayhem than any jihadist, and that their fat-cat lifestyle is more of a threat to their existence than the bogeyman of an Al Qaeda fatwa, fear of which has them groveling at the knees of authority, donating their liberties in exchange for a tot or two of extra security. Arrrrgh! America has political prisoners too? This is shocking, yet even more outrageous is the fact that Americans worry more about the Kardashians more than the Stewarts and Mannings.